Grey NY ECDs (l-r) Jeff Anderson, Qian Qian, Hannah Fishman and Tristan Kincaid. Anderson has created award-winning work at both creative and digital agencies for such brands as HBO, Snickers, Activision, Chevrolet, New Orleans Tourism and Hewlett Packard. His honors include the Titanium Lion, Black D&AD Pencil and numerous One Show Gold Pencils. Anderson joins from McCann where he was an ECD. He began his career as an art director at TBWA in New York and has served at Droga5, Goodby, Silverstein and Chi & Partners. Qian is a creative director and designer with extensive experience in branding, art direction, digital product design and integrated advertising. His graphic design has been exhibited at the Victoria and Albert Museum. 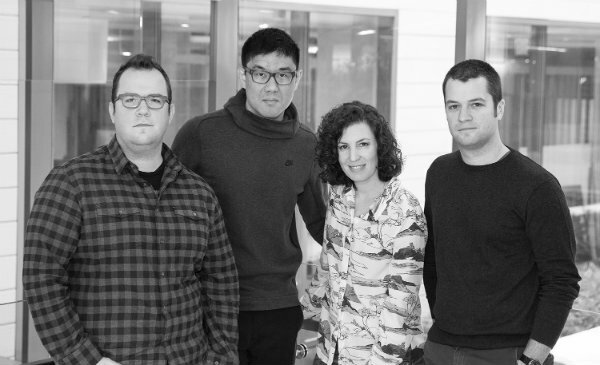 Qian joins from R/GA New York where he has served as ECD leading Samsung US. His work has contributed to “Agency of the Year” honors and Samsung’s “Marketer of the Year” award at Cannes. He has produced award-winning work for Coca-Cola, MasterCard and Domino’s Pizza. Along the way, he has worked at Deutsch, CP+B, McCann and AKQA and received recognition at Cannes, D&AD, The One Show, Clios and LIA. Kincaid is an award-winning writer and creative director. He has developed everything from integrated advertising campaigns to mobile VR experiences. His client roster has included Coca-Cola, 23andMe, IBM, Disney, Miller Lite, American Express and Hershey’s. He has won at Cannes, The One Show, D&AD, Clios and the AICP Show. Kincaid also comes over from R/GA where he served as ECD leading Samsung US. Earlier, he worked at Arnold Worldwide and spent over a decade at Ogilvy. Fishman brings over 15 years of creative and leadership experience overseeing integrated campaigns at both digital and large global agencies. She joins from DDB New York where she has served as ECD on Heineken, Lipton, GLAAD, Johnson & Johnson beauty and Electrolux. Earlier, she worked at Edelman Digital as creative director on such brands as Samsung, Dove, Axe, Pfizer and the American Heart Association.